1st place in each city will receive 6 months of co-working at Tampa Bay Wave and Rising Tide Innovation Center as well as a Feature in PitchLyst and Startup Report donated by St Pete Catalyst. 2nd place in each city will receive 3 months of co-working at Tampa Bay Wave and Rising Tide Innovation Center as well as a Feature in PitchLyst and Startup Report donated by St Pete Catalyst. 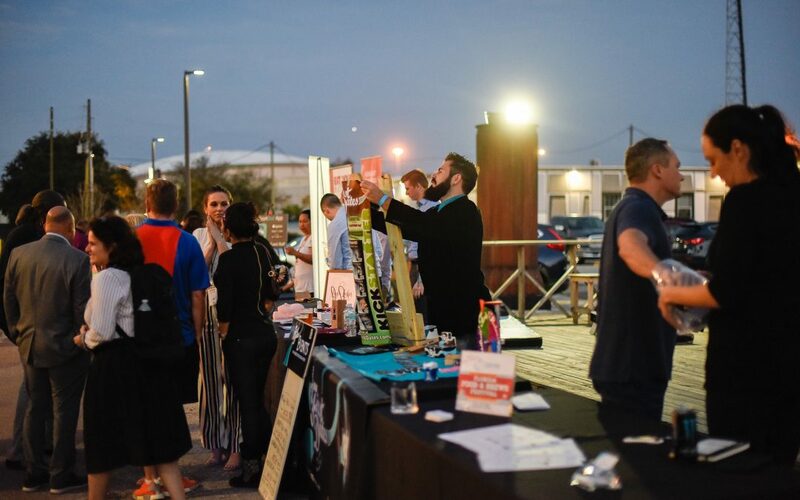 3rd place in each city will receive 1 month of co-working at Tampa Bay Wave and Rising Tide Innovation Center as well as a Feature in PitchLyst and Startup Report donated by St Pete Catalyst. In the end, an overall winner will be selected among all six and they will receive a Meet & Greet lunch/tour of Bank OZK Innovation Labs and a chance to talk with the Bank OZK product and engineering team to get advice and help with their startup. In St. Pete, the showcase was Monday, and the winners were……. 3. Sans Market! Sans Market is a local store specializing in producing zero waste. They are helping people move away from harmful plastics and disposables and use reusable and all-natural materials. They won third prize in the St. Pete showcase! 2. Script! This app improves process automation for schools with technology that was only previously offered to big corporations with even bigger budgets. And last but definitely not least, the first prize winner in the St. Pete showcase was Startup Space! This app is specially designed to bring startups and entrepreneurs together in the community in which they belong. Think Facebook for Startups, and then think bigger! That’s all for now. The next showcase will be in Tampa on Friday when we’ll announce the next three winners and the overall winner! Don’t miss it!